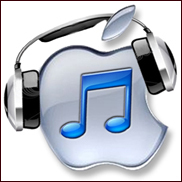 CUPERTINO, CA (Hypebot) – Universal Music Group has agreed to license it's catalog to Apple's iRadio streaming music services, according to reports. Apple has apparently dropped requests that it be charged a lower rate in exchange for a share of ad revenue, and opted for the .125 cent rate that Pandora pays, according the Financial Times. Several sources are suggesting that Sony is not anxious to sign a deal for iRadio, But with the world's largest music group on board, negotiations with Sony, WMG and the indies should accelerate. Apple, Google and Amazon are all pushing hard to be the next to launch their own take on digital music streaming. That's left existing players scrambling to attract users and subscribers prior to the additional competition: Spotify has a $10 million ad campaign, Rhapsody is adding new features, Rdio is adding partners like Shazam; and Slacker reconfigured it's offering and began a push for more mobile partners.